Art Inspired by the Americas | Art We There Yet? 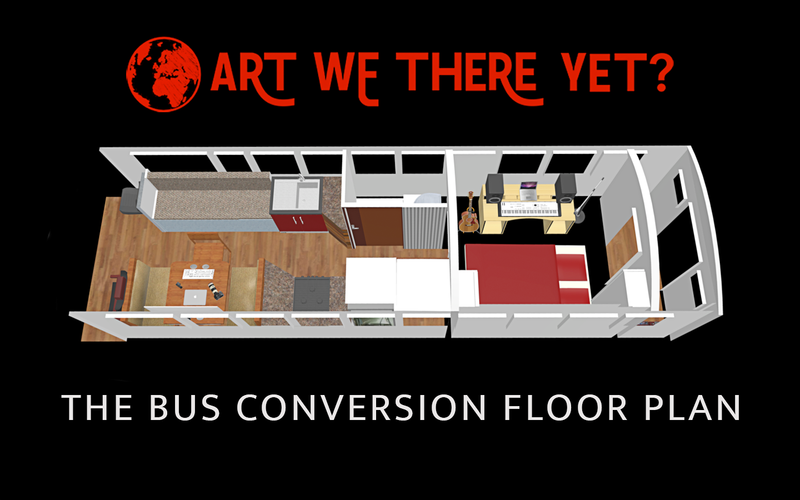 Today we are launching a fundraising campaign to take Art We There Yet North, Central, and South America! The project is to convert a used school bus into an art and recording studio on wheels, which we will then drive from the USA to Argentina over two years. We will focus on a series of creative projects inspired by the Americas, and we will give back to communities along the way by volunteering and teaching art in underprivileged communities. Why? Because art is our passion, and humanity is our inspiration. We will use art to boldly illustrate that our diversity is our greatest strength. We believe this is particularly important today, at a time when many are losing sight of our shared humanity and the value of diversity in society. The arts enrich lives and everyone deserves access to public art and arts education. We both have a lot to give and a lot to teach. We will use our skills to contribute to public art and arts education in some of the places that need it the most.